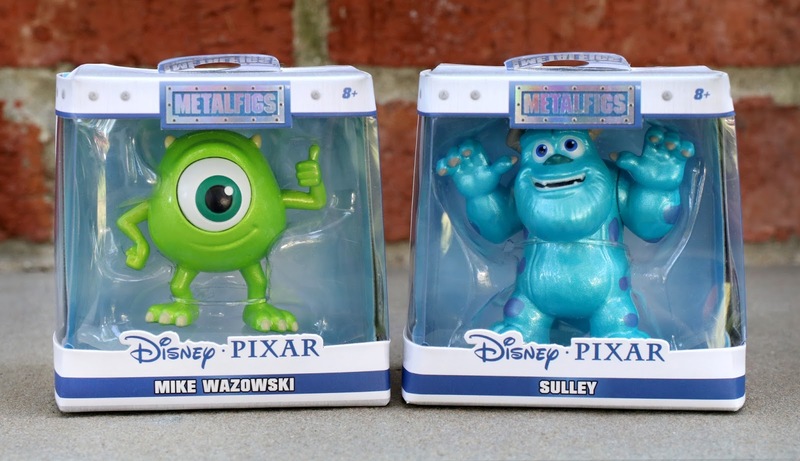 New from Jada Toys, here we have a couple of figures from their METALFIGS collection (a line which seems to be growing in popularity as of late)...Mike and Sulley from Monsters Inc.! 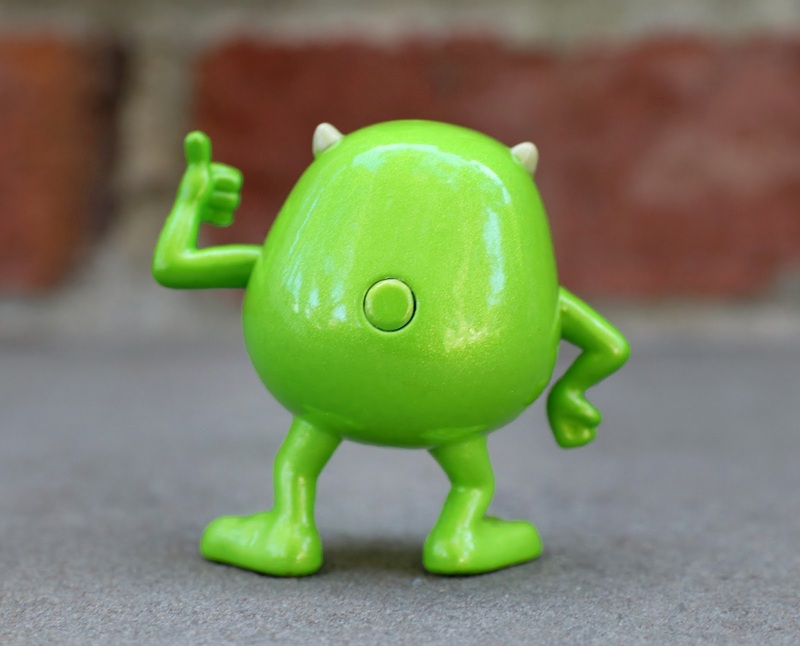 These characters are about 2"-2 1/2" tall and are made up of over 50% solid diecast metal. I saw that these were being released not too long ago and had been keeping my eyes open for them over the last few weeks. I was super pumped when I stumbled upon them at Walmart this past weekend! I just absolutely love the designs of these figures and knew they would be irresistible. Retail price is $4.68 each. On the back you'll notice a few other non-Pixar (though Disney nonetheless) characters in this line that are also available: Donald Duck, Daisy Duck, Jack Skellington and Stitch. 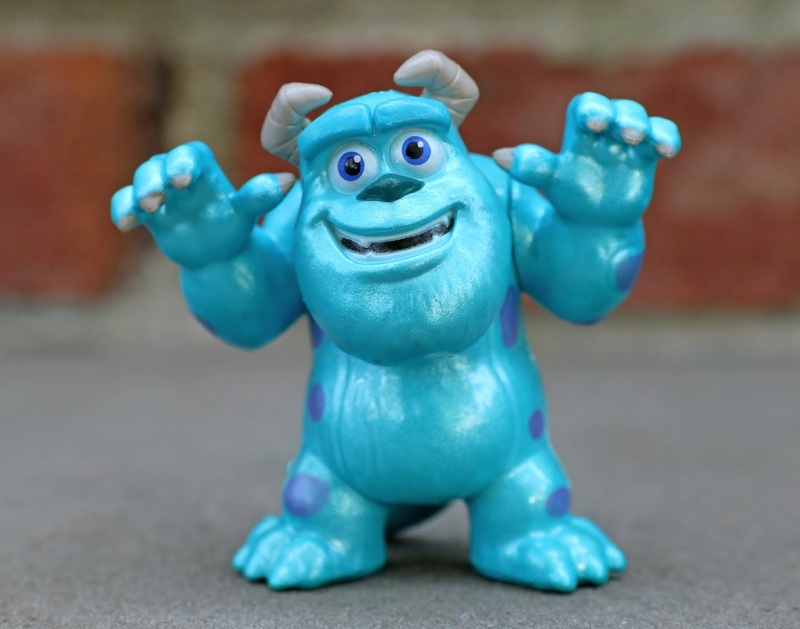 Check them out a bit closer below— loose from the packaging and ready to scare! It's hard to tell from my photos, but each one has a fantastic sparkly/metallic paint job. What a cool touch! These are going to look perfect on display in my office and are great pieces overall for adult collectors. As mentioned, I found these at Walmart...but I'm sure they're available elsewhere as well. 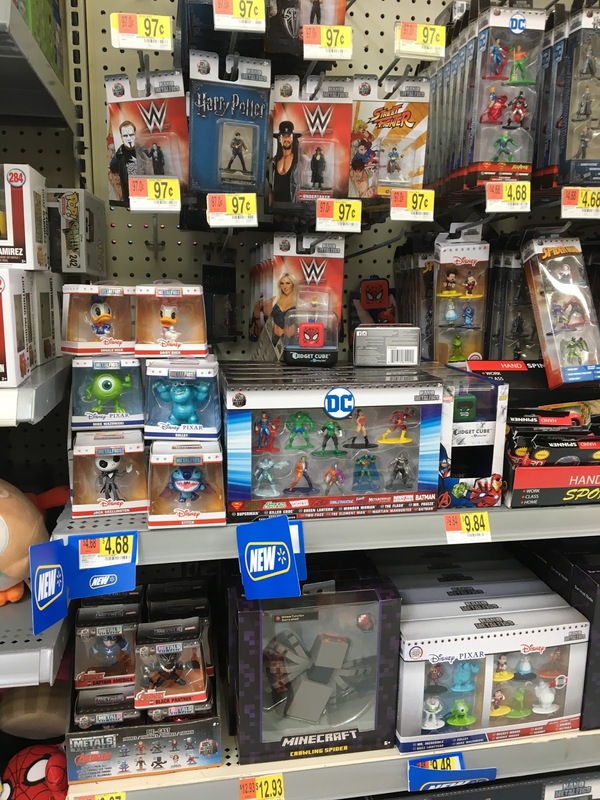 Keep a look out at Target and Toy R Us as they might be showing up there too! If you want to order them online using Amazon, check out my direct links below. 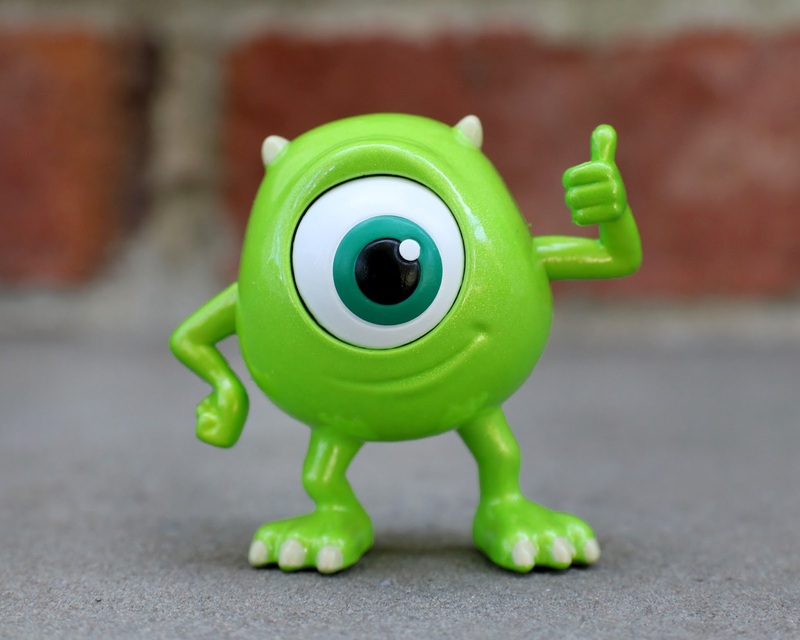 I can't recommend these enough for any Monsters Inc. fan! They're cute, they're well made, have a solid weight to them and don't take up very much space. You really can't go wrong here. 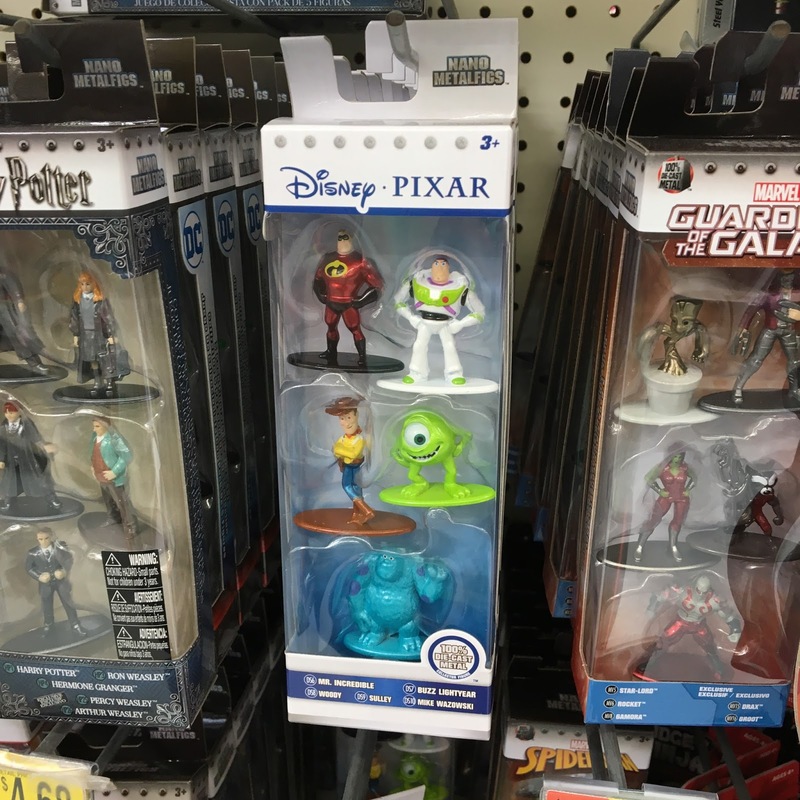 FINAL NOTE: Here's a shot I took of the Jada Toys METALFIGS section at Walmart. 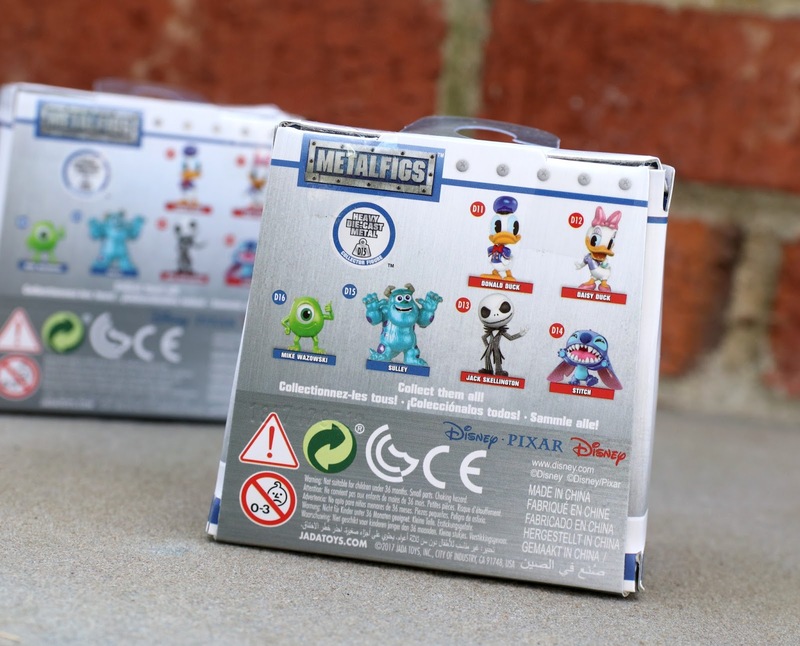 You can see here that there's also a "NANO METALFIGS" line, which now features a boxed set of several teeny tiny metal Pixar figures (about 1.5" tall). 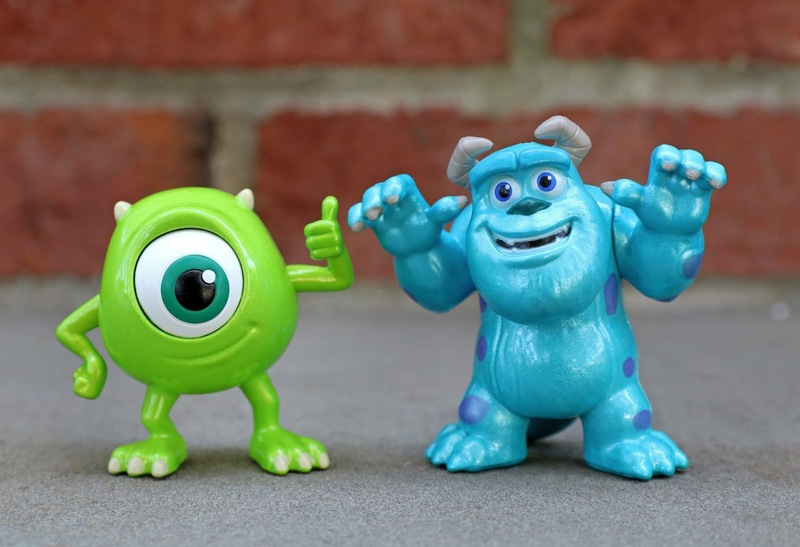 I didn't go for those ones, since I was shocked at the difference in quality when compared to the Mike and Sulley figures I reviewed above. 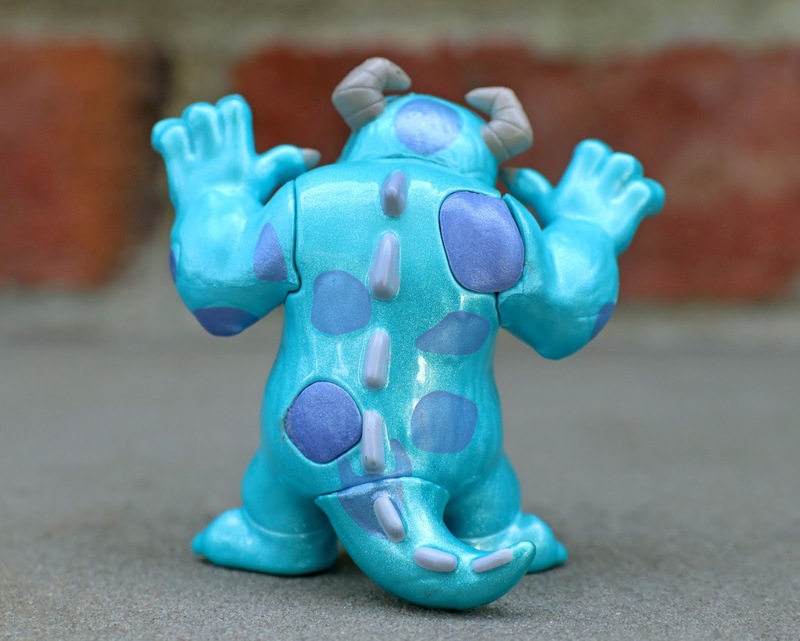 The ones in this set (especially Sulley) look just so off to me. Their sculpts are awkward and the paint jobs are sloppy. It's weird to me that these are from the same company as the ones I purchased. Oh well—what do you think?